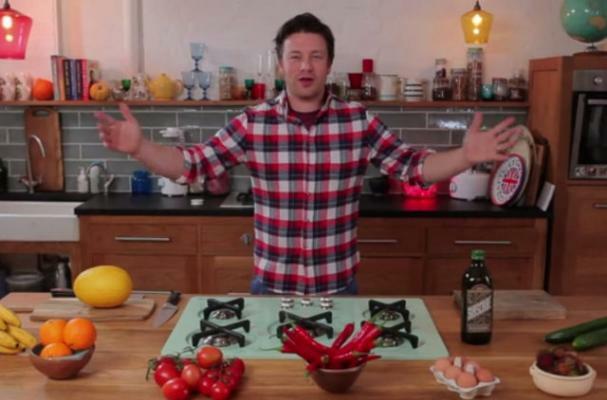 Celebrity chef Jamie Oliver has launched a new channel on YouTube called 'Food Tube.' The channel is one of about 60 in Europe that have been given rights to produce their own original content for the video-sharing website. "We want to make you happy. We want to give you food shows with attitude," Oliver said during the first live stream. Food Tube will feature live shows featuring Oliver, question and answer shows with viewers and recipes from all over the world. Oliver will also be featuring other YouTube cooks and a few of his friends to take part, who he will highlight during his 'Jamie Presents' segments. You can check out Oliver's first video on Food Tube below!